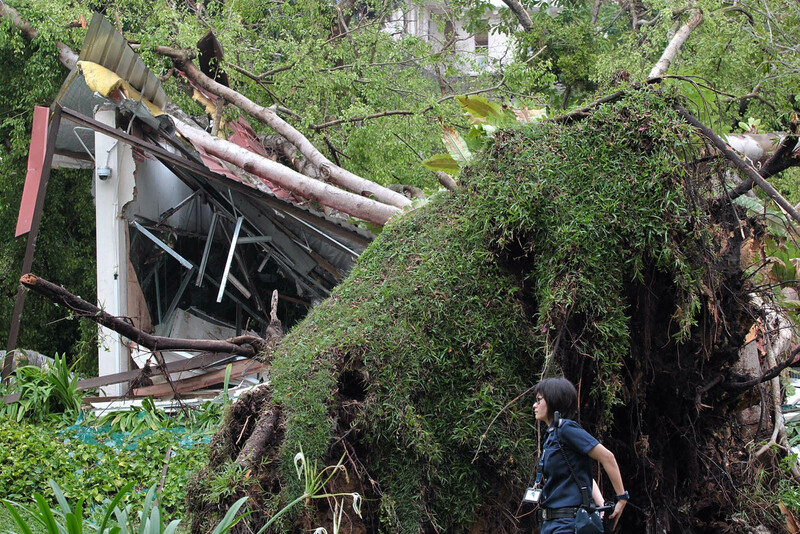 A tree, about 3m in diameter and 15m in height, is believed to have uprooted after a storm earlier in the day and then collapsed on a pre-war building causing part of it to cave in. 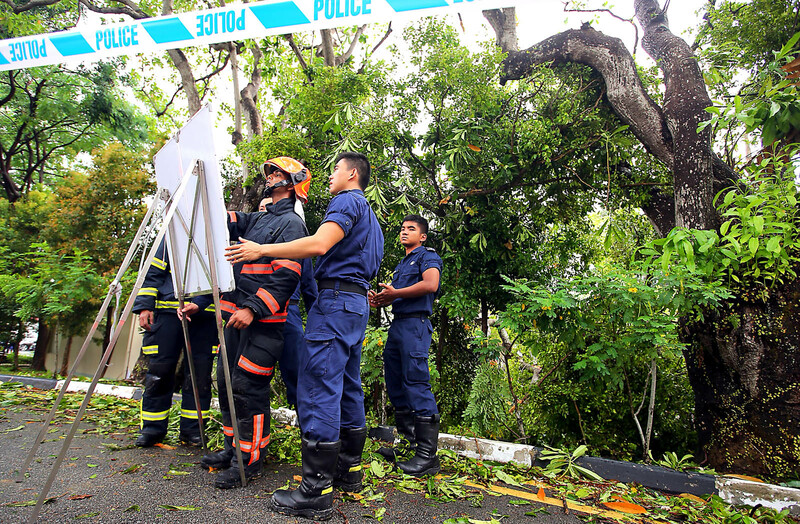 The accident happened on Thursday afternoon on the grounds of Alexandra Hospital. 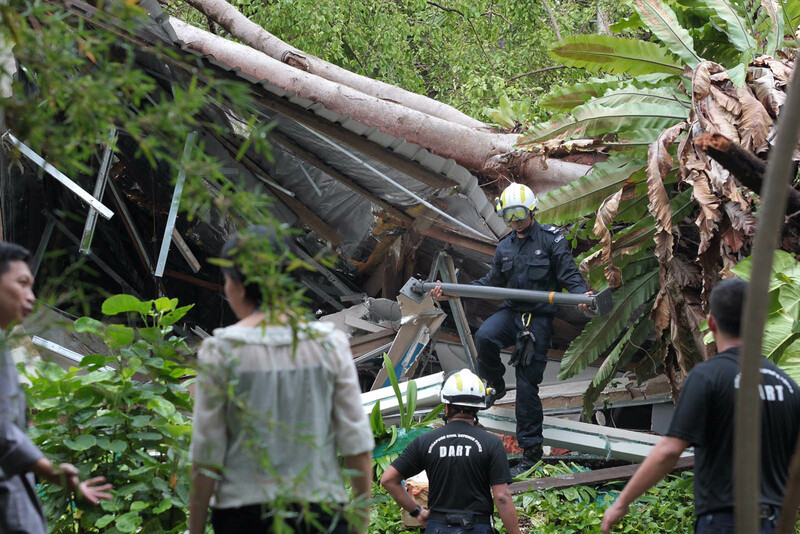 At 2.49pm, SCDF was alerted to a rescue incident at 378, Alexandra Road. The above-mentioned resources were dispatched to the incident site. Upon SCDF's arrival, a single-storey building (approx. 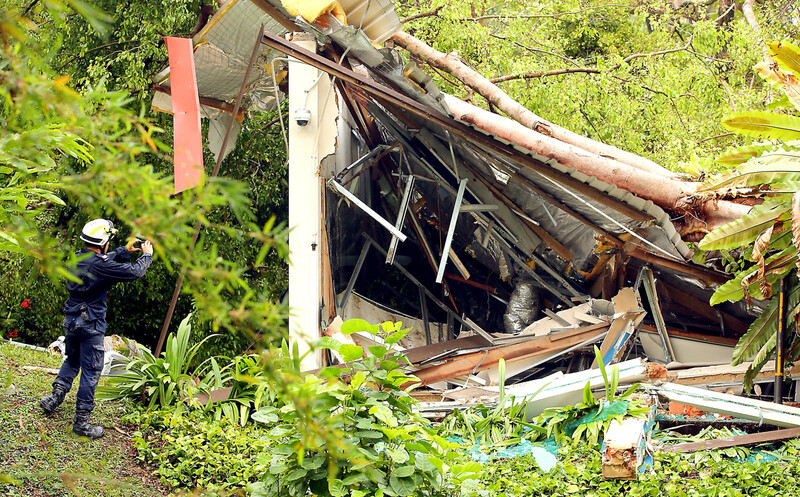 20m by 10m) fitted with a zinc roof had collapsed after a tree, approximately 15m in height and 3m in diameter, fell onto it. As a result two casualties were trapped under the rubble. 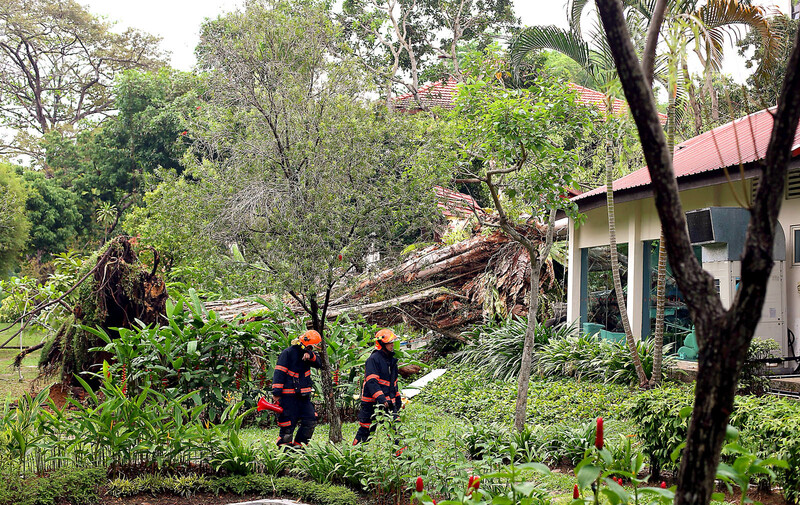 SCDF firefighters together with DART rescuers immediately commenced rescue operations after stabilising the fallen tree and the building structure. The search and rescue operation had to be conducted cautiously by delicately creating space within the collapsed structure using hydraulic cutting and lifting equipment. The first casualty was rescued in about 40mins while the second casualty, who was pinned under the concrete debris was extricated about 45mins later. SCDF paramedic as well as a medical team from Alexandra Hospital were at the location to render medical assistance to both casualties. 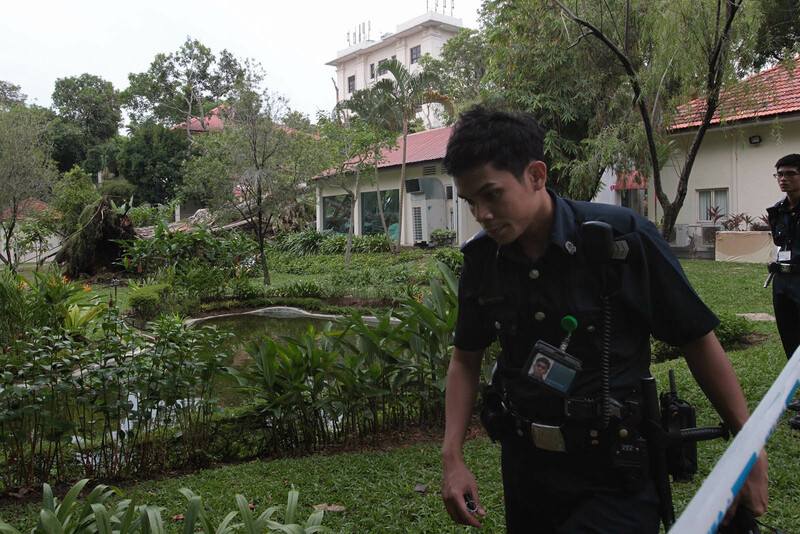 The casualties were sent to the Alexandra Hospital by SCDF ambulance. The whole search and rescue operation took about 90mins. Two men were trapped in the rubble of a collapsed building for about 40 minutes on Thursday afternoon. 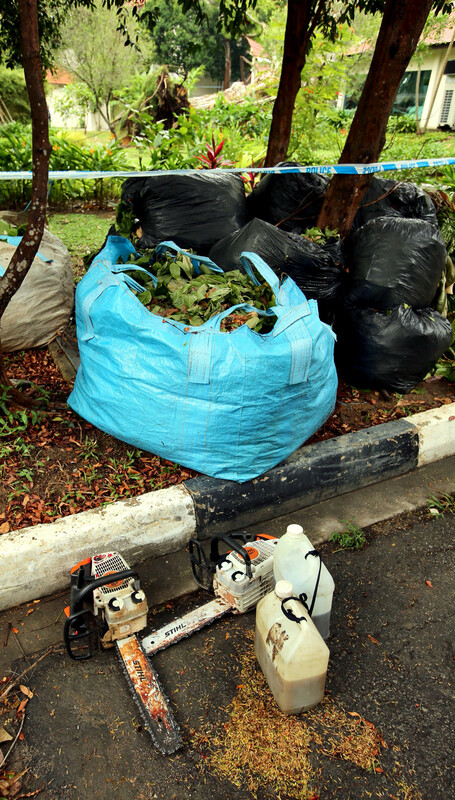 The accident happened on Thursday afternoon on the grounds of Alexandra Hospital. 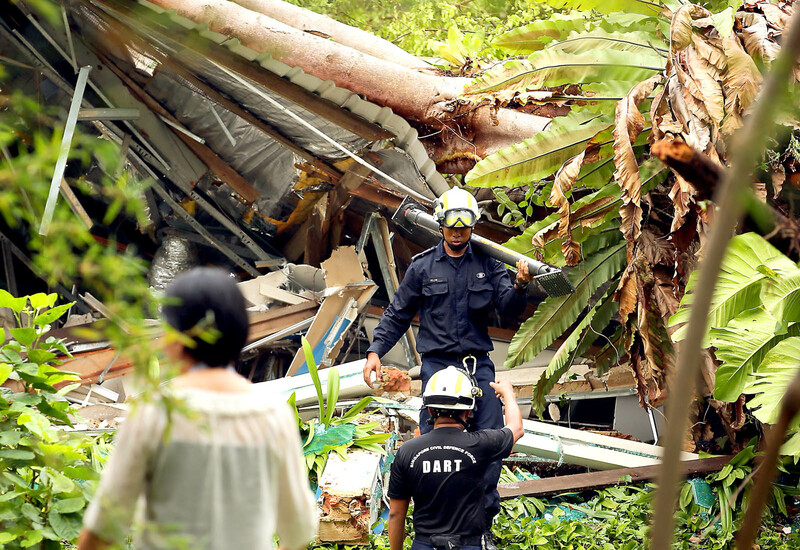 Besides the two, who were trapped, two other people managed to get out of the rubble on their own before the Singapore Civil Defence Force arrived. They suffered minor injuries. All four are believed to be contractors. 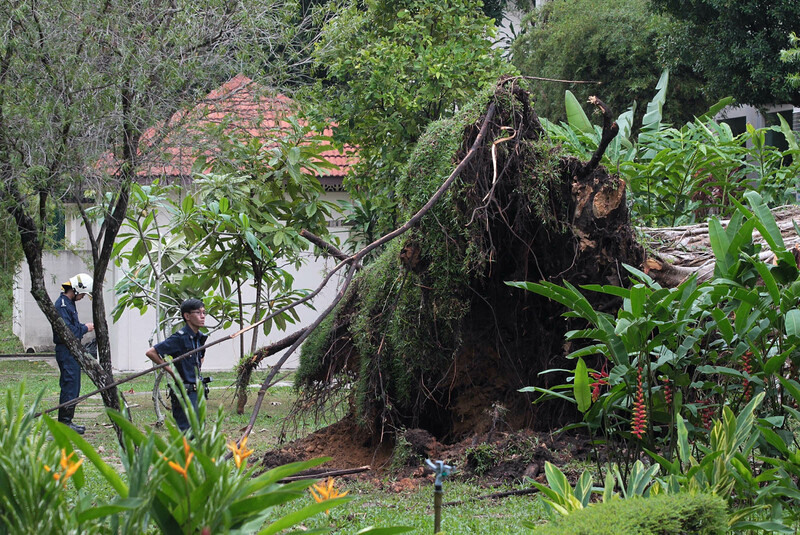 The Singapore Civil Defence Force (SCDF) received a call about the toppled tree at 2.49pm. 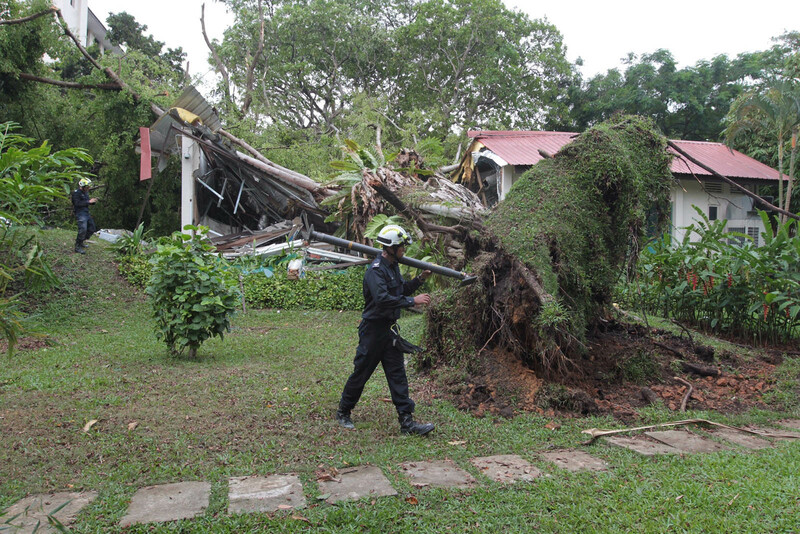 Officers first stabilised the tree and single-storey building to prevent further damage. In what it called an "intricate" operation, officers used cutting and lifting equipment to make space to extricate the trapped men. 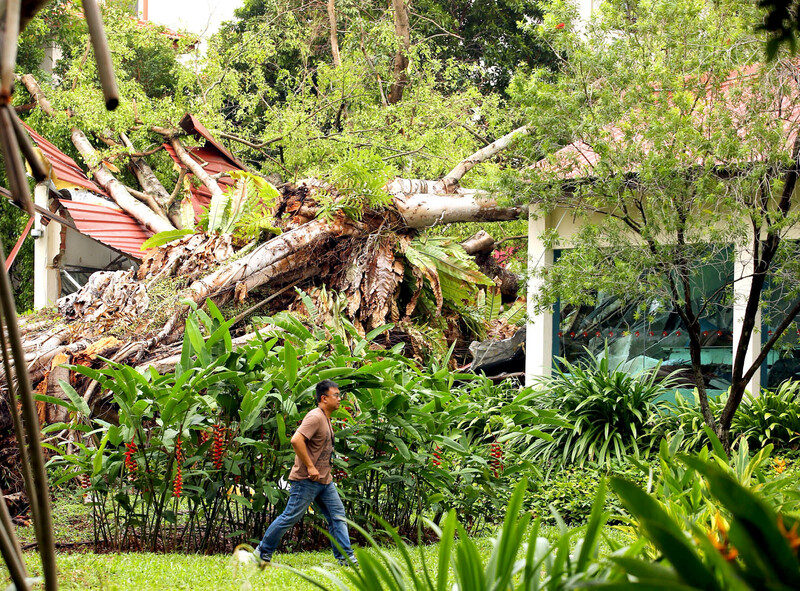 The building, said the SCDF, was badly damaged with fallen debris and sharp edges. It took about 40 minutes to extricate the first man, who was in his 30s. The second man, who was caught deeper in the rubble, took about 45 minutes to free. 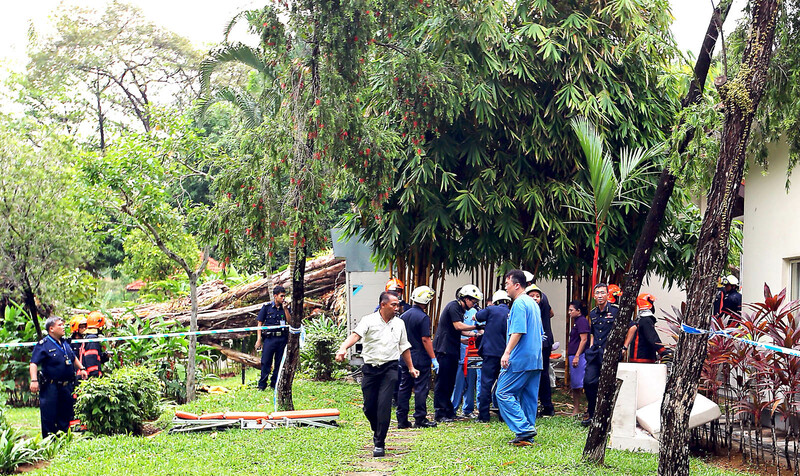 SCDF paramedics and the hospital's medical team were on standby. When The Straits Times arrived around 4.30pm, one person was being wheeled out on a stretcher with an oxygen mask over his face. The building , which was once a staff gym, was being refurbished into a staff lounge.